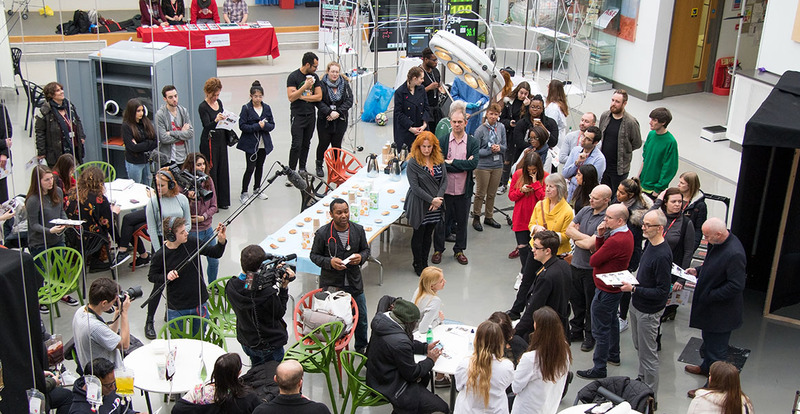 Senior Lecturer in Stop-motion Animation Osbert Parker was the driving force behind a recent multidisciplinary workshop and exhibition in Middlesex University’s Grove Building. 150 students were challenged to work together to create art around the theme of Accident and Emergency. 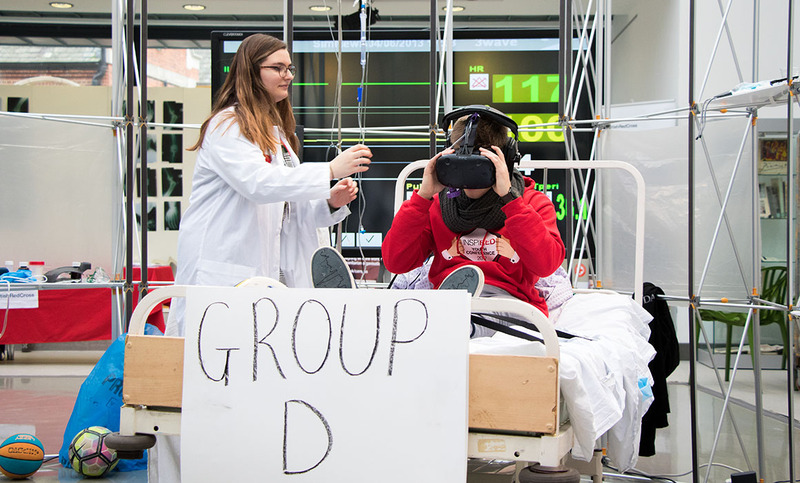 Students from the Faculty of Arts and Creative Industries worked together with students from the School of Health and Education to transform the Grove into an exciting, immersive exploration of the two worlds in creative collision. The idea came to Osbert as he was reflecting on his personal practice in art and design over the past 30 years. “I often found creative solutions in ‘mistakes’ and ‘happy accidents’, as opposed to the precise world of the medical profession where mistakes and accidents can be fatal,” he said. That initial thought took on a life of its own, becoming a University-wide collaboration that remained open 24 hours a day for an entire week. The challenge of putting on such a large-scale exhibition was a vital learning experience for the students – a challenge that gave them valuable lessons about working in the professional world. “Participants are encouraged to work in expanded learning environments outside their normal habitat with opportunities to be taught by staff in other departments from different perspectives and work with new equipment learning new skills convivially beyond curriculum. 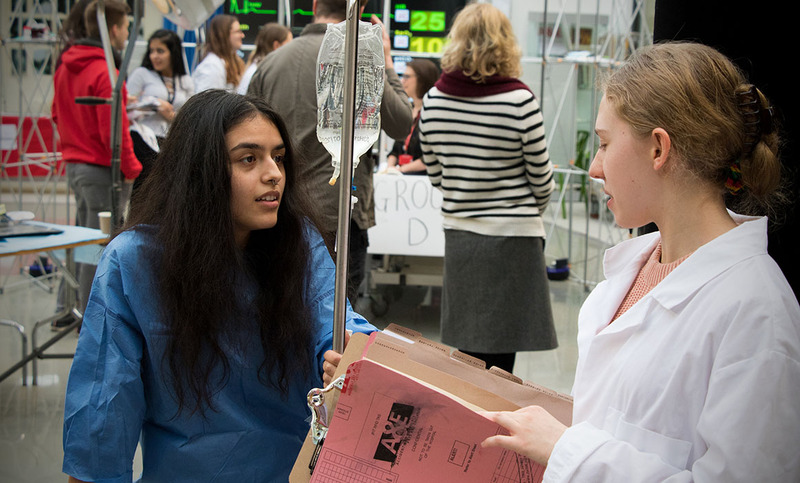 The emphasis on collaborative and practical learning at Middlesex meant the University was the perfect place to create the A&E workshop. “I balance my professional practice in the film & TV industry with teaching at a number of universities and film schools, of which Middlesex is one of the very best. “I'm not aware of anyone else doing collaborations on this scale with such a diverse range of students from different disciplines,” says Osbert. 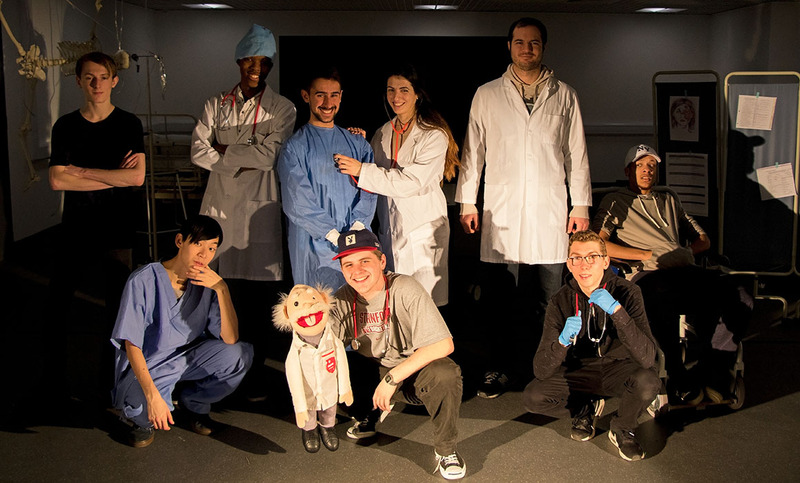 Lona Lee, a second year BA Fine Art student got involved with the A&E project because she saw it as a great opportunity to work with students from around the University she might otherwise never have met. She was keen to explore new ways of working and was excited by the opportunity to do this through the project. “The amount of work and passion that was clearly going into organising it all, and the visual impact of what was being prepared suggested it had high potential to be more than a simple collaboration,” she said. “I tried a working approach that would not have come naturally, which has fertilised some ongoing work and collaboration with others going forward, as well as another creative approach that I didn't have before.